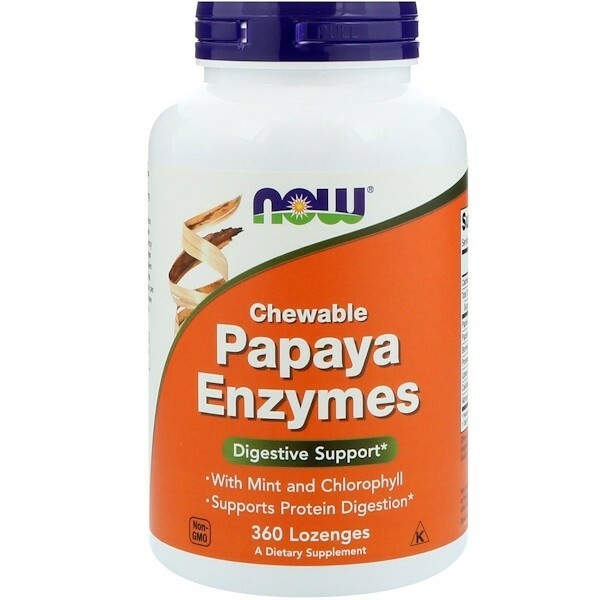 Digestive enzymes are essential to the body’s absorption and full use of food. 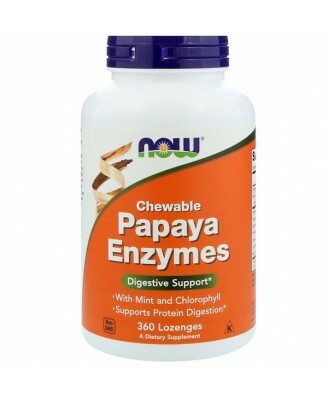 NOW Papaya Enzyme Lozenges have a refreshing taste when taken after meals. 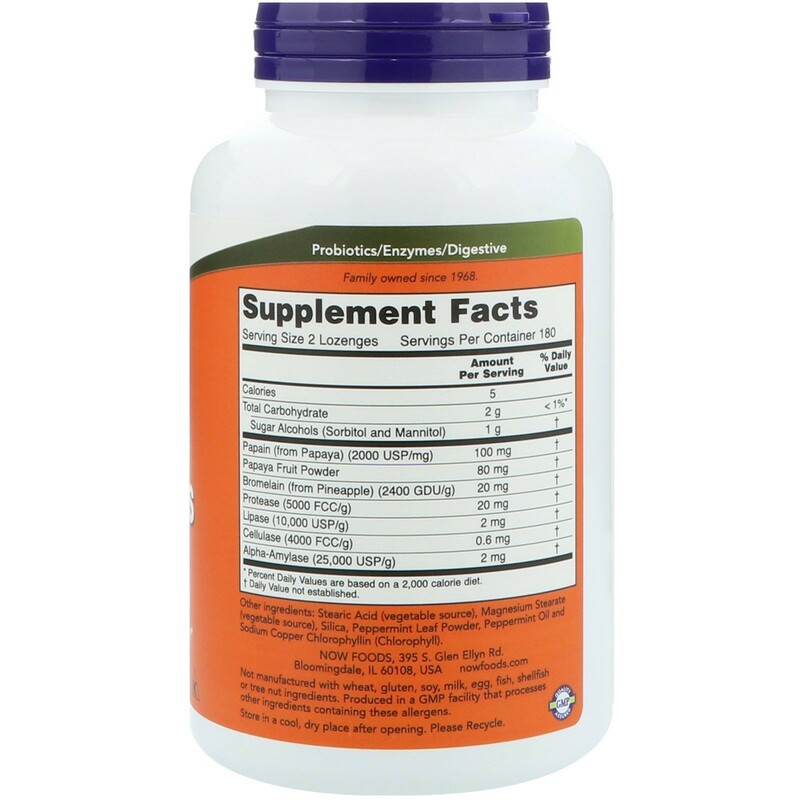 Our lozenges are made with whole, unripe, spray dried Papaya powder, and have 40 mg of Papaya per Lozenge. In addition, Protease, Lipase and Cellulase have been included for a full spectrum of enzymatic activity. This tablet is also useful as a mint breath freshener. Store in a cool, dry place after opening. Keep in bottle.